"Menemsha - The posts are where the wharf was to which the boats came in and where all the huts were, and a high hill of land." 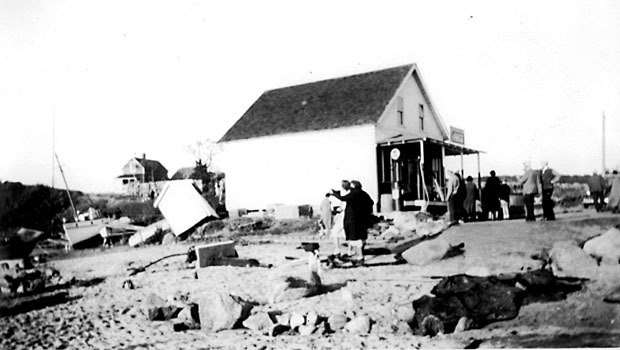 "Carl Reed's store, the last building standing. Just below this is water. Formerly below this store was a garage, then Butler's store, a roadway and then Ernest Mayhew's hut where we bought lobsters and the wharf. All gone." 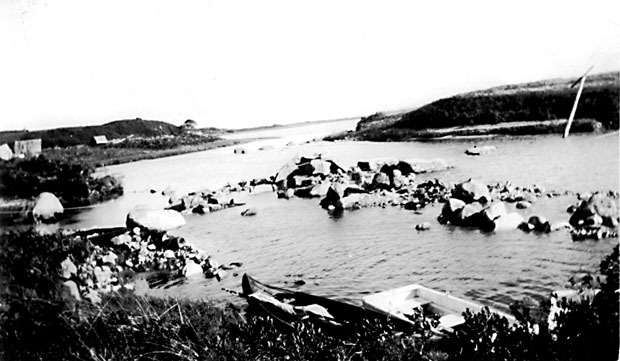 "The Menemsha - Gay Head bridge was washed away and land with it. The people are on the Gay Head side. You can see where the telephone poles were once on the road." 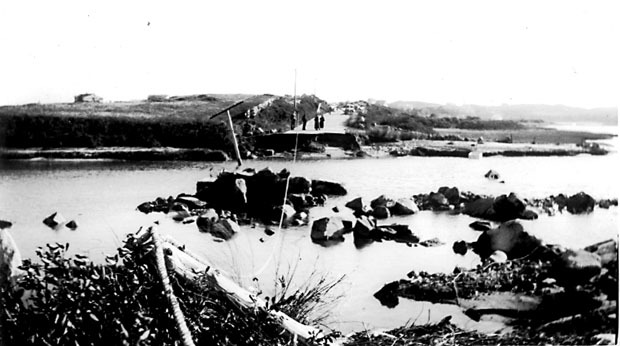 "Another view of the missing bridge between Gay Head and Menemsha. The telephone pole is on the Gay Head side."